The NFL approved a historic personal injury settlement for ex-players, but many legal battles loom. For decades, head injuries were an issue that few in the football community were willing to discuss. After years of experiencing severe and repeated blows to the head on the field, many football players found their mental faculties and overall health slowly begin to deteriorate, tragically losing basic abilities over the years. Until recently, they suffered in silence. 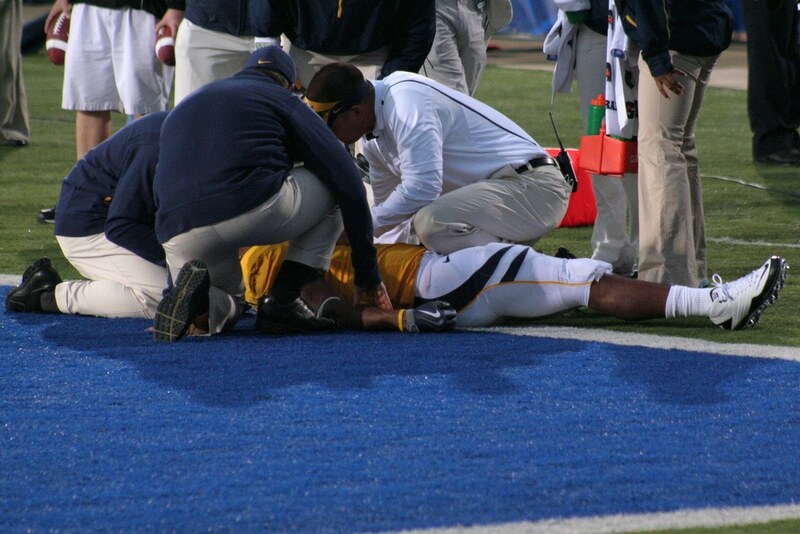 Now, science has demonstrated a link between football and traumatic brain injury. And, as it often does, litigation came only a step or two behind the extensive scientific research . Current and former football players began to sue the NFL starting around 2011, on the grounds that the organization had known of the brain injury risks, but had not informed players. These cases were consolidated into a single class action lawsuit, and in 2015 the NFL agreed to a $1 billion settlement to be distributed among the plaintiffs, according to their level of personal injury. For one injury victim in Dallas, the battle continues as he struggles to keep the compensation awarded as his lawyers fight for their fees. What types of sports injuries are the most common in Texas? Fortunately, the most sports injuries are far less serious than traumatic brain injuries. The most common sports injuries are muscle strains and sprains, dislocations, fractures, tears, and knee and elbow injuries. Most of these injuries, while extremely inconvenient in the short term, will heal if given proper medical treatment, and most involve the limbs and extremities, rather than the brain. How much time do long-term head injuries need to be diagnosed? Head injuries are particularly pernicious, not just because of their effects, but because they can take a long time to manifest after the initial trauma occurs. Many NFL players did not notice the first symptoms of brain damage until years or decades after their football careers ended. This makes head injury cases difficult, but not impossible, to try. Texas places a statute of limitations that prevents people from filing a personal injury lawsuit in Texas after two years from the “discovery of harm,” rather than from the injury itself. If you have suffered a sports injury, and you believe that another party is at fault, you should consider filing a personal injury lawsuit to seek compensation. Call TorkLaw to schedule a free consultation with an experienced attorney to determine if you have a case.